Mechanisms of Heart Failure is based on papers selected from poster presentations made at the International Conference on Heart Failure, Winnipeg, May 20-23, 1994. 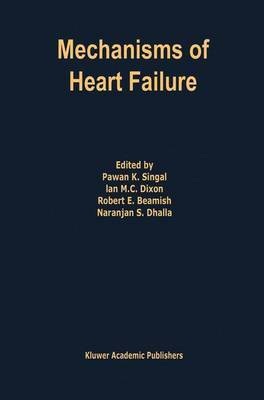 Although the entire book is one continuous discussion of subcellular mechanisms of heart failure and its treatment, the presentation has been divided into three sections: the opening section on the subcellular basis of heart failure includes discussions of cytokines, signal transduction, metabolism, extracellular matrix, organ level changes and newer approaches to understanding the pathogenesis of heart failure. The second section focuses on the pathophysiological aspects of cardiomyopathies and their treatment. In the final section, medical, surgical and pharmacological approaches to the treatment of heart failure are discussed in clinical and animal laboratory settings.